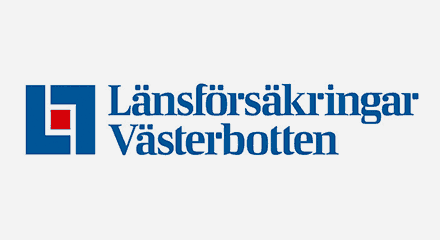 Länsförsäkringar Västerbotten is one of the 24 local companies that form Länsförsäkringar AB. They offer complete financial services across Sweden, with banking and insurance services under one roof. Nearly 200 people work for the company in total. And because the company covers the large area of Västerbotten, reliable customer service is critical. When looking for a new contact center solution, Länsförsäkringar Västerbotten drew up comprehensive requirements. They wanted a solution that supported needs throughout the organization and guaranteed technically stable operations. They also wanted to improve accessibility with flexible, skills-based call routing. Additionally, they needed to integrate several types of media (calls, email, etc.) and gain a good overview of available agents with different skillsets. Finally, the company wanted the flexibility to remove IVR capabilities for those agents who did not want them. The Genesys PureConnect™ platform was the best solution to meet these requirements because it not only offers skills-based routing, but it was used by others within Länsförsäkringar Västerbotten already, making the transition to a new technology smooth and seamless. They needed a more advanced solution that could offer unified communications while still supporting the entire business.